For the majority of us who have a busy life, adding a yoga class to an already busy schedule can become a challenge – some people find it impossible. 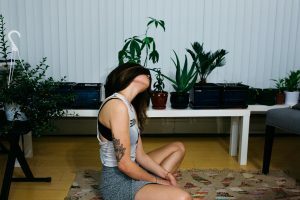 However, there are people who can fit it during lunch and have a studio that is walking distance from work, those who work from home can easily do a class either during lunch or after work and there are those who have to make time at night to attend a yoga studio like myself and also practice at home. With the online world however, doing online yoga classes is an innovative and practical choice nowadays that a lot of people can take advantage of. Yoga practice is a lifestyle for me and for many practitioners all over the world, so it’s a amazing opportunity that we have when going to a studio is just too stressful, very difficult, expensive, and/or impractical. So, the question is should you attend an online yoga studio or a local yoga studio you can go to in person? My yoga practice routine is a combination of going a yoga studio and doing yoga at home either with an online yoga video or on my own. At the end of my work day, I really enjoy going to my yoga studio and feeling the force of the group of practitioners that are attending the class as well. It has a beautiful ambiance that you can feel as soon as you walk in – unlike some of the yoga studios I have gone to, which feel much like a fitness studio or a gym. The studio I go to has a retreat-like feeling where you can just drop out of the business of the world and feel drawn to quiet your mind and drop to a meditative space. I also value having adjustments done when I need them. My instructors are very subtle at moving my legs or arms when my poses are a bit off and I find that extremely helpful, because I can then correct myself next time I am doing the same pose – either a few minutes later or at home when I am practicing without an instructor present. It’s also amazing how I can get lazy and pick short routines at home so that I can go and do other things but when I am at the studio I am there for an hr to an hr and a half depending of the class I am taking. So attending a studio nearby provides a great structure that I find really informs my Hatha Yoga practice. Since I discovered the world of yoga online, I have found a few great yoga videos through sites like Gaia.com. With online yoga studios, you can select the style of yoga you want to do, the teacher you want to practice with, the level of yoga you want to practice (beginner, intermediate, moderate, advanced, etc. ), the duration of the class, and even the focus you want to have (AM practice, arm balances, backbends, core, detox, energy, to name a few). Then you just follow along with the videos. 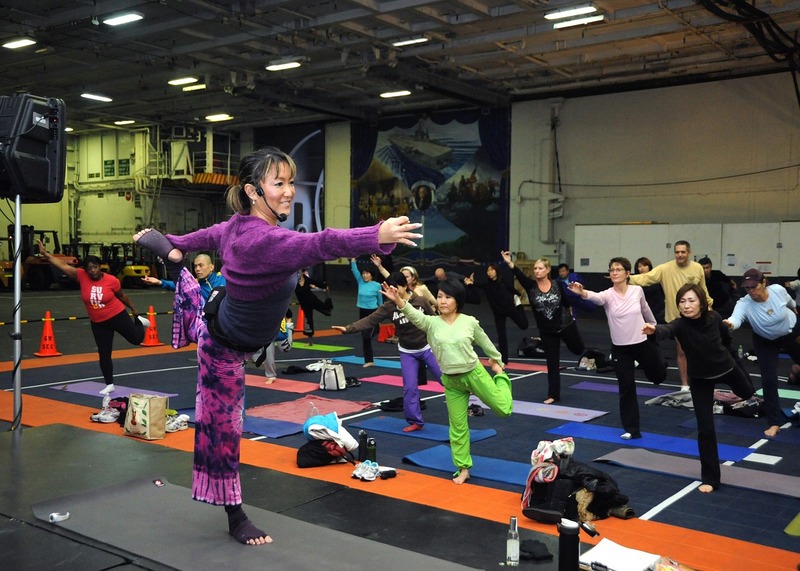 The classes offer annual plans, monthly plans and 3-month plans. I found that at the beginning, I had to watch the videos first and get a feeling for how they progressed and what the poses were. The levels after the beginner level go a bit faster specially if they are short videos, so it’s good to start with the beginner level classes – unless you are very familiar with the names of the poses and can follow along without having to stop to see what the pose looks like. There are other sites also that offer similar online yoga classes and some give you 15-day trials. Some are even free such as doyogawithme.com which offers tons of streaming videos at all levels, instructions on yoga poses, meditations, yoga breathing and other programs. They even offer a 30-day yoga challenge. Then of course there are YouTube videos that you can watch and follow along as well. I have to say attending a yoga class at my studio wins because I need the structure, learning from the feedback I get from my teachers through adjustments or repeated reminders in between poses and an atmosphere and space that is not distracting me with my own environment, computer and the reminder to do this or the other. That’s just me though! What do you prefer, doing online yoga classes or attending a yoga studio? What a seriously cool idea… and what better way to do yoga than in the comfort of your own home. I used to do it quite frequently but due to my extremely hectic schedule it’s been a while… needless to say this is when I have been needing it the most! I am excited to have read your article, it’s inspiring me to pick up where I left off. Thank you. I know right? It’s so cool to have that option now a days. Like today through Sunday my yoga studio is closed for the holiday so I am happy to be able to resort to an online yoga class so I can keep practicing. I hope you find one that works for you so you can resume your practice!